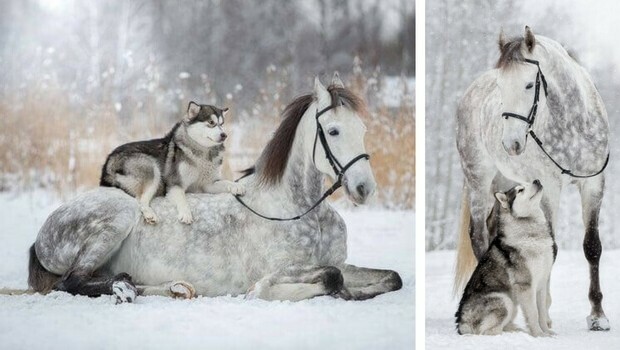 We often write about cool animal friendships, and it’s one of my favorite topics to write about to be honest, when you see two innocent animals that just play together and you can tell they’re having the time of their lives without any stress or other human emotions that usually get in the way of true and honest friendships between human beings. 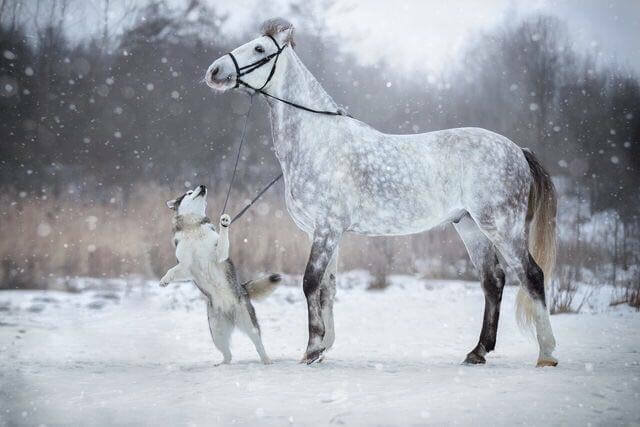 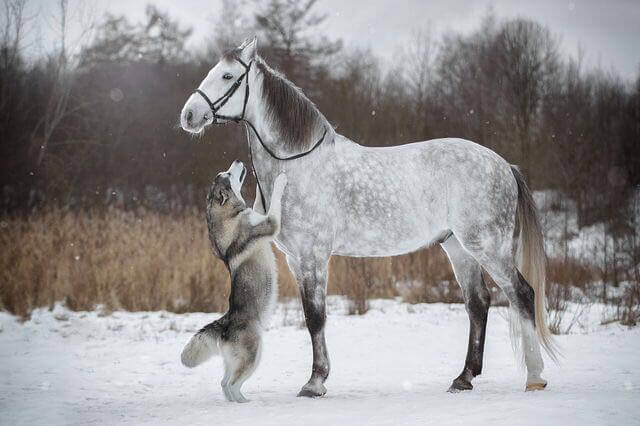 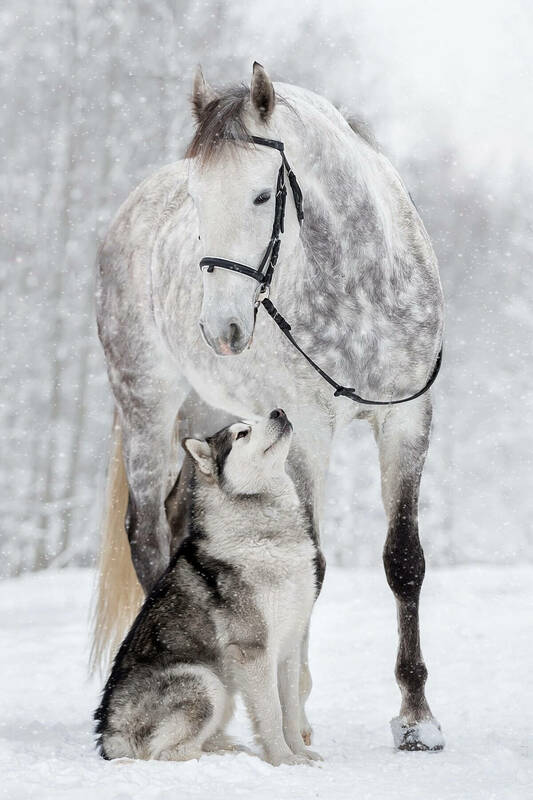 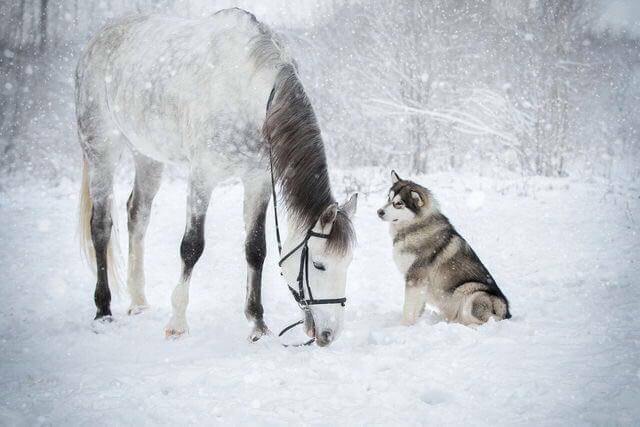 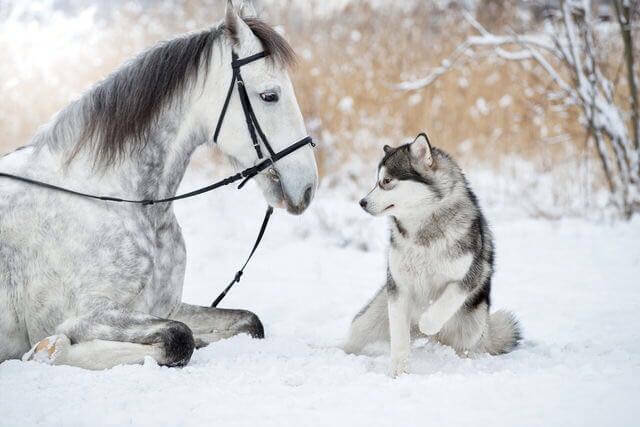 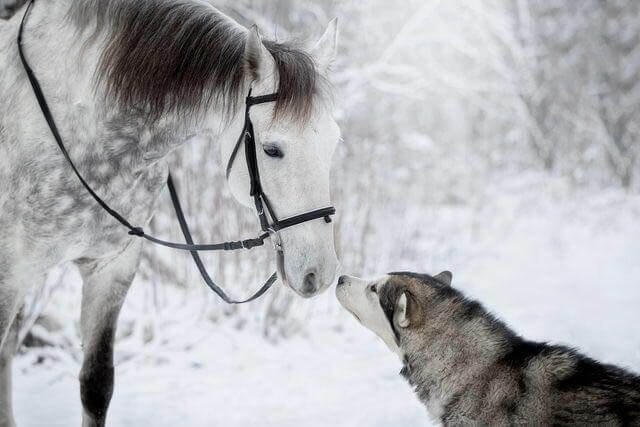 The gallery below created by Russian photographer Svetlana Pisareva perfectly shows this unique bond, this time, it’s a friendship between a husky dog and a beautiful grey horse that blends well with the snow around them. 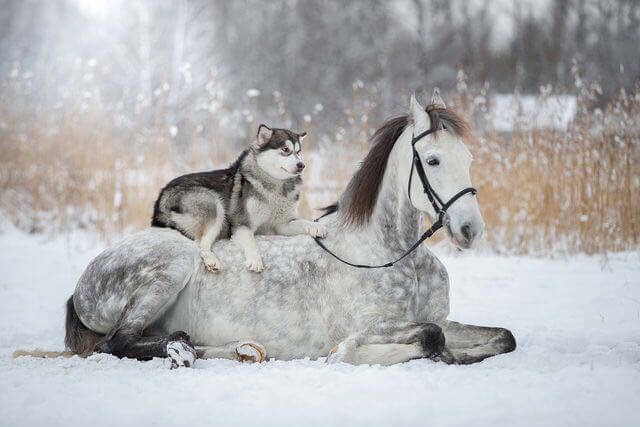 The images are so good we wouldn’t be surprised if we see these two staring in their own Disney movie soon. 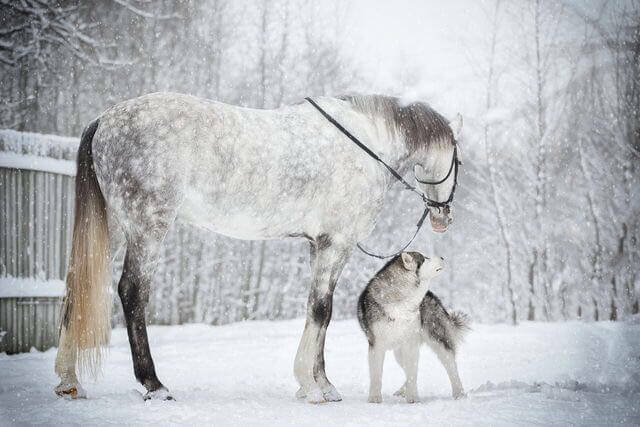 We honestly didn’t found much information about Svetlana, it may be that she prefers to keep her private life private.